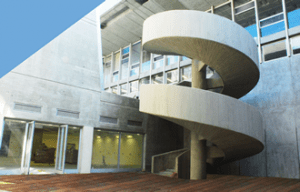 Pictured is the Younes and Soraya Nazarian Library at the University of Haifa, which educates students from Israel and around the world. Photo courtesy of the library’s website. Last week in New York, over 50 female philanthropists came together to launch a new educational scholarship fund for women. At the occasion, the American Society of University of Haifa announced the founding of its new Women’s Scholarship Fund. The scholarship seeks to engage women at all levels of philanthropy and support female students at all levels of education. “We are very committed to education. Education is the key to everything. It is something that you can’t take away and if you give someone an education, it will enable them to help themselves for the rest of their life,” said Lady Irene Hatter, who spoke at the gathering. With their philanthropy, Hatter and her husband, Sir Maurice Hatter, support World Jewish Relief and World ORT, a worldwide Jewish educational NGO. It couldn’t be clearer. Democrats like Obama and Clinton increased women in cabinet leadership. Republicans decreased this leadership. Graph courtesy of Pew Research Center’s Data on Women Leaders. One big step forward for the Republican party, one big step backward for women’s equality in political leadership. 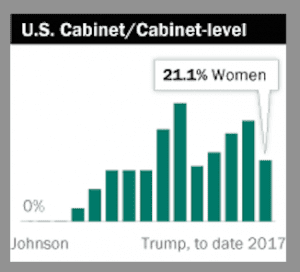 The graph here kind of says it all — we’re back to a Republican president and low, low numbers of women in cabinet leadership positions. The Pew Research Center recently presented some of the longitudinal data on women’s growing roles in business and political leadership, and the full report is worth checking out. It’s Friday afternoon and I still want to squeeze in some of my daughter’s soccer game, but I also want to let readers know that we are putting together a progress report on how we are doing as a new media outlet. Hopefully that will come out next week. 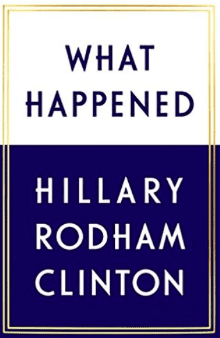 Also upcoming we have reviews of What Happened, to catch up on one of most important political and philanthropic leaders, Hillary Rodham Clinton. We’ll also be reviewing Funding Feminism: Monied Women, Philanthropy, and the Women’s Movement, 1870–1967 for all you history buffs out there. 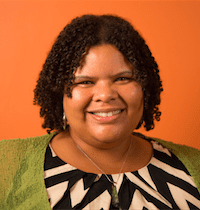 Ashindi Maxton is a Senior Advisor and funding strategist for the Women Donors Network (WDN) with extensive work in democratic reform, racial justice, and education. 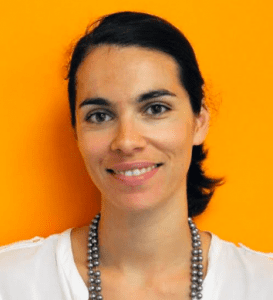 Editor’s Note: This is an editorial by Ashindi Maxton, who is a Senior Advisor for the Women Donors Network (WDN), one of our Spotlight Organizations. The editorial tells the story of how WDN and its allies have been able to effectively bring in more partners to fund the resistance. As Ms. Maxton points out, the Threshold Fund and the Democracy Alliance joined WDN and Solidaire to expand the Emergent Fund, amplifying the ability of that fund to protect and empower marginalized communities. Which Inclusive Funder is Being Honored by NCRP for Smashing Silos? Groundswell Fund is a 2017 award winner of the National Committee on Responsive Philanthropy’s IMPACT Award. 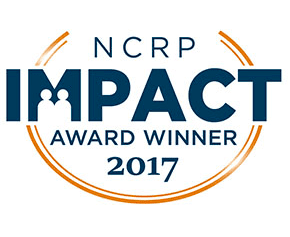 On August 29, Groundswell Fund announced its selection by the National Committee for Responsive Philanthropy as a 2017 recipient of NCRP’s Impact Award. On September 18, Groundswell Fund will join three other Impact Award recipients in New Orleans at the sold-out CHANGE Philanthropy Unity Summit to receive the “Smashing Silos” Award for intersectional grantmaking. Author Kiersten MarekPosted on September 13, 2017 September 13, 2017 Categories Activism, Feminist Foundations, Gender Lens Grantmaking, International Women Leaders, LGBTQ, Women and Girls of ColorLeave a comment on Which Inclusive Funder is Being Honored by NCRP for Smashing Silos? The storied fortunes of the Gilded Age are so closely associated with the men who made them that the wives who used that money to help society are often unknown. Wealthy women in the 19th century were expected to be little more than heir-producers and society hostesses. 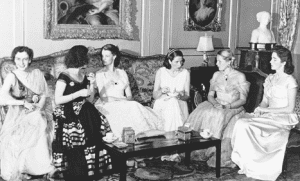 But women such as Louise Whitfield Carnegie, Abby Aldrich Rockefeller, and Gertrude Vanderbilt Whitney did not spend their days merely updating the Social Register, getting fitted for sumptuous gowns, or meeting for luxurious, gossipy lunches. They also worked hard to make sure that their families’ fortunes—all built on the backs of the less fortunate—were used to help others. Wealthy 19th century women were not supposed to work outside the home, and they certainly had no financial need to do so. But these women expanded their limited roles through charitable work and in doing so created a new public role for women. Childcare Impact Assessment, a new report from Ms. Foundation for Women, links up ways to effectively support women in the workforce: better wages and childcare access. We know that childcare needs to be valued and supported for society to thrive. Yet, time and again, we leave parents, particularly low-income and young parents, out of the picture for access to childcare. Today, a new study released by the Ms. Foundation for Women validated that state and local officials need to take the reigns and steer their community toward economic growth by funding access to childcare. 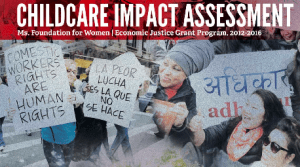 “Our approach has not only helped the local organizations achieve policy gains, but also provided necessary resources to develop intersectional leadership in grassroots organizations,” said Aleyamma Mathew, Director of Economic Justice at the Ms. Foundation for Women. “To achieve economic security in the Trump era, we have to win on the state and local level,” she added. 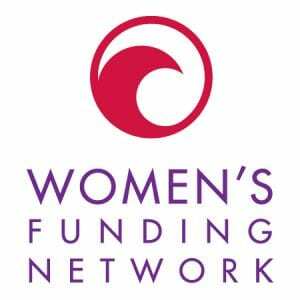 Women’s Funding Network LEAD awards went to eight women’s fund leaders participating in the Young Women’s Initiative. 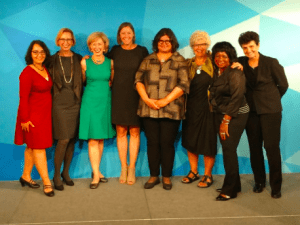 Leaders from eight women’s funds across the country that spearheaded the Young Women’s Initiative received the 2018 Leadership and Diversity Award, given by the The Women’s Funding Network at their annual summit, taking place this week in San Francisco. The New York Women’s Foundation is a 2017 recipient of The Women’s Funding Network’s Leadership and Diversity (LEAD) Award, for launching the first Young Women’s Initiative in partnership with the New York City Council and inspiring similar efforts by women’s foundations across the country. 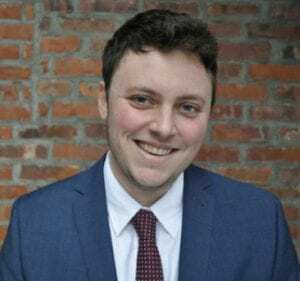 While awareness about gender and racial bias has been growing in nonprofits and foundations, particularly over the past 30 years, the leadership of those organizations has primarily remained white, straight and male. One foundation has been steadily fighting to change that, though, and now, its fight is more important than ever. Third Wave Fund has been around for over 25 years, and is celebrating its 20-year anniversary as a foundation. The fund was founded by Rebecca Walker, daughter of renowned writer Alice Walker, and Dawn Lundy Martin, Catherine Gund, and Amy Richards, who recognized the extreme underfunding of grassroots feminist activism, and set out to remedy this funding gap.